Following last week’s discussion on how long it takes to form a new habit, I received several responses from people all asking basically the same question: How do I stay motivated to continue a behaviour until it truly does become habituated? Most agreed that the foundation of a new habit rests on the stories we tell ourselves . As we incorporate the new behaviours into our lives, we must devote equal time, effort and energy to ensuring that our new stories becomes our true stories. Yet, despite this, making new behaviours consistent and a regular part of who we are can be challenging. This is particularly true at those times when we just don’t feel like doing them or, even worse, when we really feel the urge to revert back to the ineffective behaviours we are trying to replace. Today, July 9, is the 221st day of the year. I know this only because one of the goals I set for myself in 2017 was to run every day on a rebounder, or equivalent, for a minimum of 40 minutes. I began on January 1 (actually, December 27 of last year, but who’s counting?) and have counted the days since 2017 began. It’s an important way I stay motivated. While I know the story I tell myself is absolutely consistent with this behaviour, there have been days (quite a few) when I have really had to push hard to stick with my goal. There have been mornings when I have been rushed, or felt tired, or just didn’t feel like doing anything but I have stayed true to my objective and therefore know today is day 221. There is a technique I use that has helped to keep both me and numerous clients to stay on the intended track. Over the years of writing blogs, I have shared this practice on several occasions and I feel, in view of the questions referred to above, it is timely to do so again. Metaphorically, we all have a counter in our head. 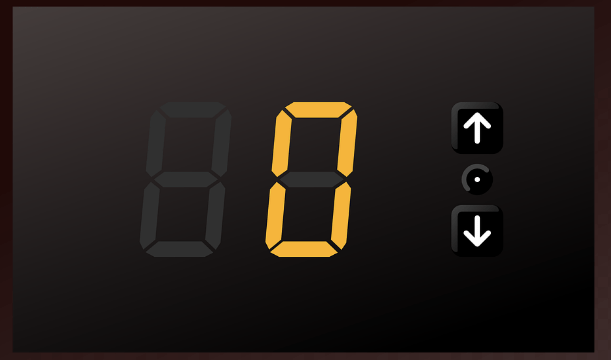 Before beginning any new project, the counter is set at 0000 and clicks over to 0001 the first time we engage in our new behaviour, 0002 the second time, and so on. If our intended frequency is to do something daily, the number will increase by one each time we deliver our behaviour. If the frequency is three times per week, the counter will increase by one each week we meet our objective of three times. This counter works flawlessly with any endeavour and any frequency. It is also ruthless and unforgiving. Regardless of how high the number is, it will instantly revert to 0000 the moment we miss a scheduled frequency, intensity and/or duration. The pain and disappointment of mentally seeing 0000 when we have worked so hard for that number to increase each time we take a step toward our goal is something I will absolutely not allow, regardless of how tired, drained, stressed or just disinterested I may feel. It becomes a key to keeping on track, a method to stay motivated. With any attempt at habit change, once that number moves beyond 0000 you have something to protect, and the larger the number, the harder you will work to ensure you will not see 0000 again. You see, if I missed tomorrow, I will not see 0222, in its place will be 0000. Here’s the real kicker: while I can tell anyone that I am on my 222nd of continuous daily rebounding, I cannot lie to the one person who always knows my truth – me. I have lost track of the countless clients who shared with me their experiences of how this imaginary counter in their brains has pushed them through fatigue, pain and exhaustion because the momentary relief from those symptoms are insignificant when compared to the long-term feelings of self-disappointment. It’s all part of the story we tell ourselves and 222 tomorrow is a much happier and inspiring story than 0000. I can’t wait for the counter to reach 365. I may even take day 366 off. Let’s make a habit of meeting like this. If you’ve arrived at my blog via social media, or a Google search, welcome! If you like what you read, I hope you’ll consider being part of my tribe by subscribing. I take email privacy very seriously, and never share or sell addresses. Hi Rael. Great stuff!. I have a similar but slightly different way of keeping myself on pace during a lengthy process such as writing a book. I am on my fifth book and along the way I had to work very hard to get on the computer and get those words flowing from my mind to my computer screen. I came up with a very simple, but effective method. I call it “the chain”. Each day when I finish my writing, I put a “link” on the calendar in front of my desk. And each day I link it to the one previous. I am compelled to keep the chain going, as if I do not put a link on, the chain breaks. It doesn’t matter how much I write (I’ve established a base-line of at least one paragraph). But it is vital that I write SOMETHING so that I am able to keep the chain going. Cheers!